The phenomenon of 'The Hum' has many possible explanations, from fish, mechanical devices, tinnitus, radio waves. Some even go as far as to suggest it is extraterrestrial in nature or it is the Earth's natural vibrations, whatever the cause it makes for an interesting subject in film and television. In the case of F.C. Rabbath's 2015 film THE HUM we see the main character driven to madness by the hum that no one else can hear. Thinking he is alone with this torment he leaves his wife after discovering she could be out to end his life. Out in the wilderness he comes across a group who also say they hear the hum. Listening to their stories he begins to think that the hum he hears is his internal guilt manifesting. 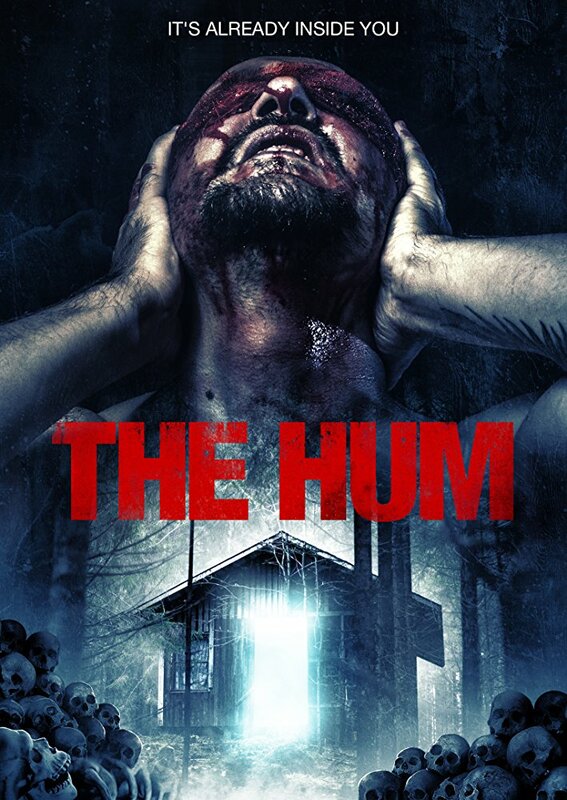 Upon returning to his wife the hum disappears but his past is about to catch up on him in a deadly way. The director had two feature films released in 2015 (the other being WATCH OVER US) and both got released by Wild Eye Releasing. While WATCH OVER US is the better of the two, Rabbath shows that he can explore various subject matter. The films budget was low but it doesn't show at all which shows how well Rabbath's craft is. THE HUM does move at a pace that is reminiscent of five o'clock work traffic on a Friday, this will undoubtedly put some people off. Those who stick with it will find a good character driven film which uses its subject matter well. It does leave a few unanswered questions but considering no one really knows the truth behind the hum this can be ignored.